Good design mustn't be full of special effects. Design can also simply mean perfection of already known forms as the Barby key ring from Georg Jensen proves. Aurélien Barby designs products that have openly viewable forms and are easy to understand. This is the basis where the French designer creates objects that make everyday forms some perfect and collector's pieces. Also the key ring named after him counts to the products designed with this credo: The small designer piece doesn't present any puzzles, but it is instantly recognizable as harmonically designed key ring. The Barby key ring therewith becomes a special piece of everyday life as a completely personal object. The Barby Key Ring by Georg Jensen is always easy to find thanks to its typical shape with the leather strap – also if it is deeply anchored in your handbag. 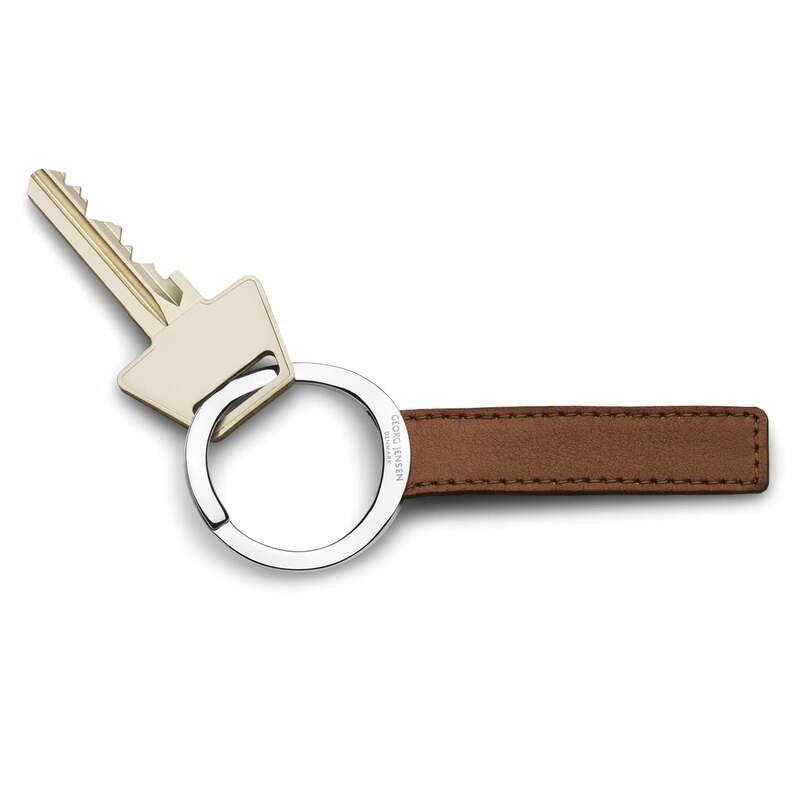 Also the Barby key ring consists of high quality materials, as well as all the other Georg Jensen products: high gloss polished stainless steel and leather ensure that the key ring lives as long as its timeless design.